A variety of events are scheduled for Thursday, Aug. 17 – Sunday, Aug. 20, in preparation for the Fall 2017 semester at Missouri Southern. · Residence Hall check-in, 8:30 a.m. to 11 a.m. each day. · Open enrollment in Hearnes Hall, 8 a.m. to 5 p.m.
· “Pirates of the Caribbean: Dead Men Tell No Tales,” 8:30 p.m. on the McCormick Hall courtyard. Free beverages and free ice cream will be provided. Open to MSSU students with ID. 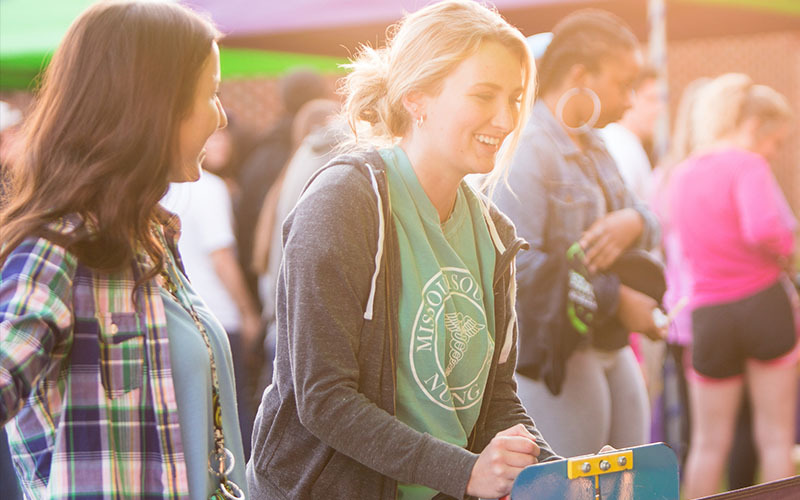 · Campus Craze, 5 p.m. to 7 p.m. on the Campus Oval. Students will enjoy music and talk with representatives from over 30 student organizations. · Comedian Jonny Loquasto will perform from 7 to 8 p.m. on the Campus Oval. Open to incoming freshman and all MSSU students with ID. For admissions information, contact 417-625-9378 or email admissions@mssu.edu .